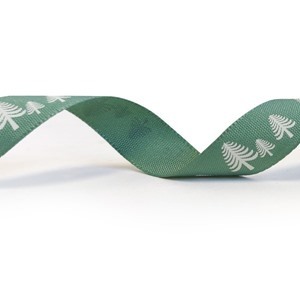 The festive forest green ribbon will go perfectly with your Christmas gift packaging. Very elegant and perfect for the festive season in this green colour with printed trees. This ribbon is 15mm wide on a roll of 20m .